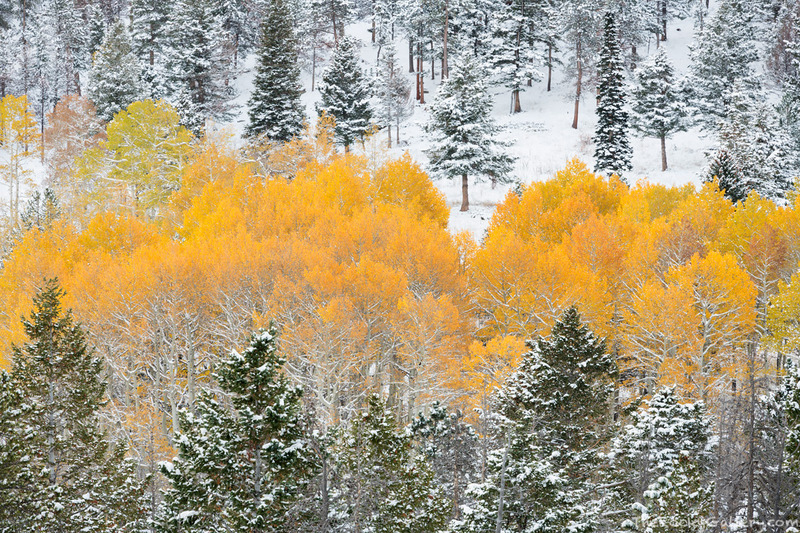 An early season October snowstorm has blanketed Rocky Mountain National Park in white as the season transistions from autumn to winter. These stands of fall aspen trees managed to survive the cold temperatures and snow and I was happy to find them the next morning in Horseshoe Park looking splendind wedged between snow covered pines. Photo © copyright by Thomas Mangan.